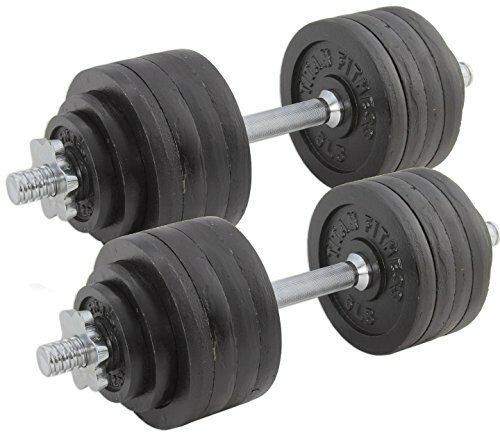 These adjustable dumbbells from Titan are a great addition to any gym whether you are just starting out or a seasoned weight lifter. The weight plates allow you to dial in exact weight that you need for training. With these dumbbells you can do a range of exercises that target your biceps and triceps, abdominals, deltoids, trapezius, back muscles, etc. Material: Steel- Handle length: 20.5"